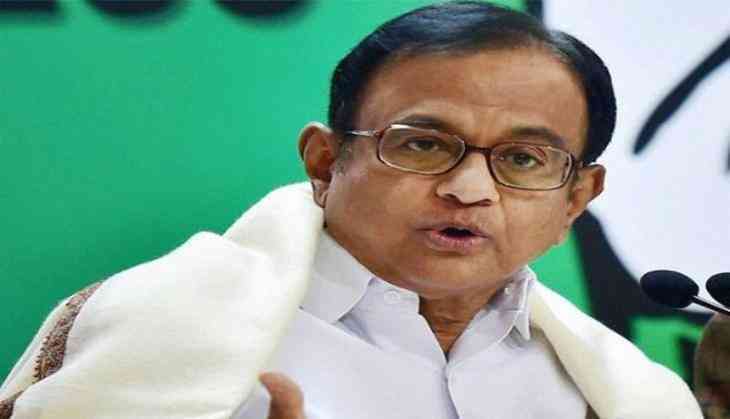 Congress leader P Chidambaram said rather than engaging with Kashmiris, the government is adopting militaristic and majoritarian' approach which is pushing more and more people into the arms of militancy. Speaking at "Undaunted: Saving the Idea of India," book release event in Chennai on Saturday, Chidambaram said, "Unlike other States, Kashmir didn't accede to India unconditionally. They acceded to India under what is called an 'Instrument of Accession'. They ceded to GOI only four subjects, and said in all other matters, 'we will be autonomous'. Most people don't know it, and those who know it have forgotten or conveniently ignored it. We are adopting a muscular, militaristic and majoritarian approach, which is pushing people more and more into the arms of the militants." "The only way to deal with Kashmir is to try to win the hearts and minds of the people," he added. The former finance minister said that over the years, Congress governments included, have eroded the autonomy given and promised to Kashmiri's on the first day. We have eroded their autonomy and they say give us back our autonomy," said Chidambaram. He also said that both late former Prime Minister Atal Bihari Vajpayee and former Prime Minister Manmohan Singh were of the belief that most of the problem of the Kashmir could be solved by giving them autonomy. "What Kashmiri people want is to allow them to run their own state. They ask why can't they have their own factories act, why can't they have their own shops and establishment act, why can't Kashmir have its own laws about roads, toilets, etc. How it does in any way affects India's sovereignty," said Chidambaram. "There has been a sharp deterioration, so sharp, so steep that 2018 has been the worst year in terms of infiltration, civilian casualties, security forces casualties, etc and 2019 already in January and February is worse than the last years January and February," he said.